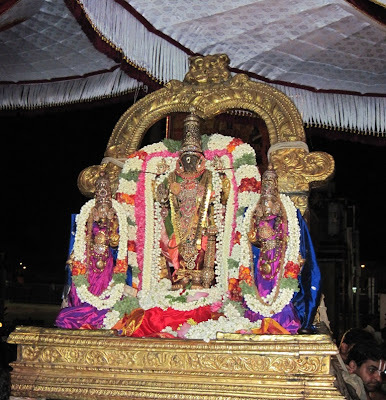 Sunday 2nd June 2012 happened to be ‘Vaikasi Visakham’ – the great day for Sri Vaishnavas as this day marks the birth celebrations of Swami Nammazhwaar. 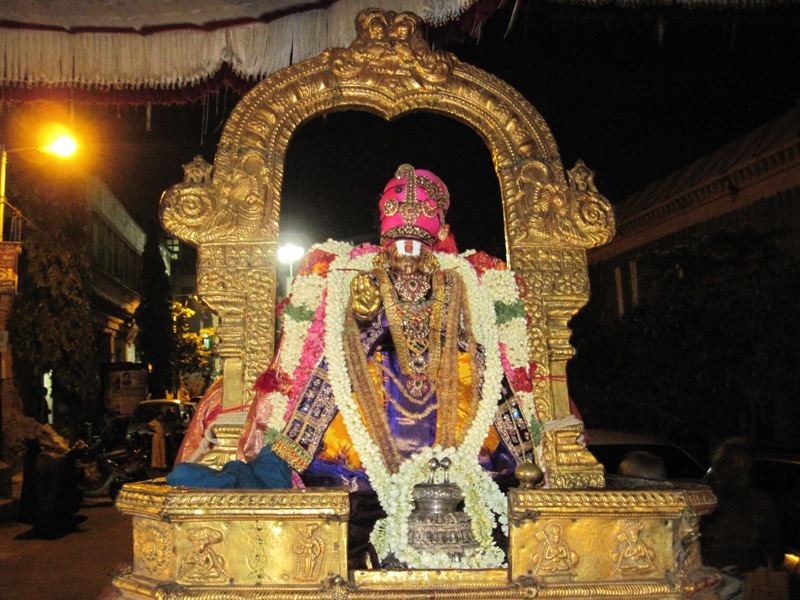 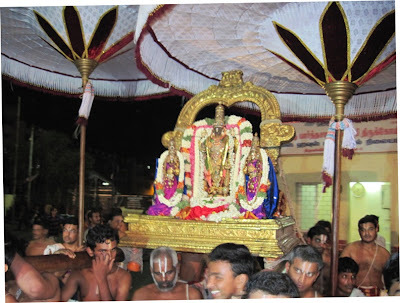 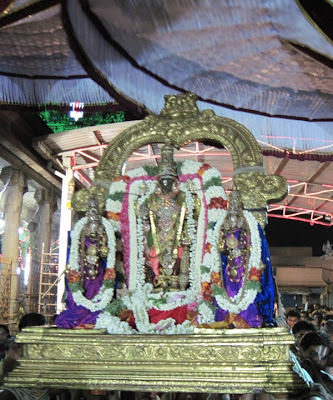 Acharyan Manavalamaamunigal in his ‘Upadesa Rathinamalai’ says : there is no other day matching Vaikasi Visakam; there is none matching Sadagopar; there is nothing equivalent to ‘Thiruvaimozhi’ and there is no place on earth which can be treated on par to Thirukurugai – the birthplace of Swami Nammalwar. 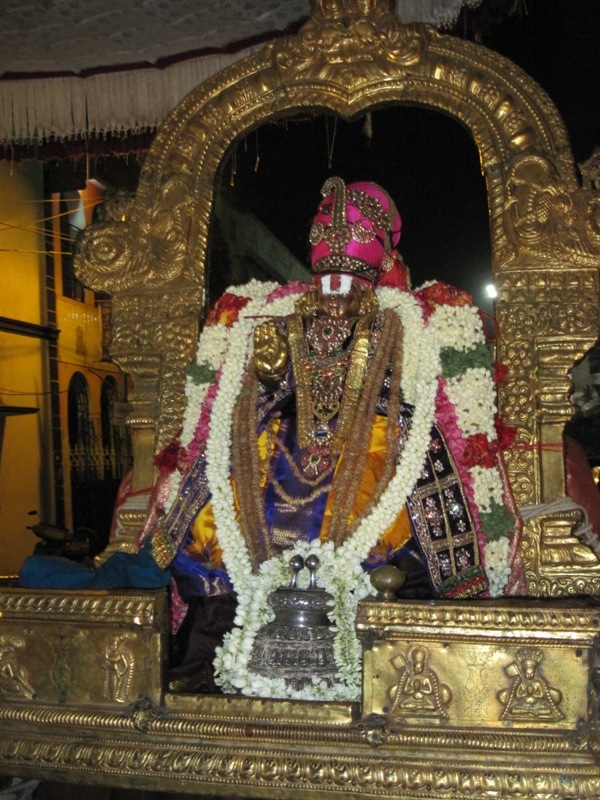 The Greatest among Alwars preached to us – “ ஒழிவில் காலமெல்லாம் உடனாய் மன்னி ,வழுவிலா அடிமை செய்ய வேண்டும்நாம்,” – that when we do kainkaryam to Lord (to Him at Thiruvenkadam), we must do service by being with HIM throughout our life and do as a slave would serve his master. 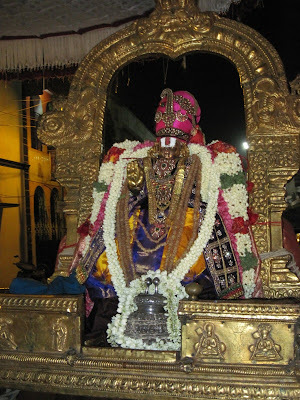 Swami Nammazhwaar was born on the auspicious poornima day of Tamil Vaikasi month in Visakha nakshathiram at Thirukurugur, now famously known as ‘Azhwar Thirunagari’. He was born to Kari and Udayanangai.